Bangkok – 12 June 2018 – VNU Exhibitions Asia Pacific Co., Ltd. organized an executive interview session at BITEC, Thailand, with invited experts Dr. Jeerasak Pipattanapongsophon – Deputy Director-General of the Department of Livestock Development, Dr. Salakchit Chutipongvivate, representative from Medical Association of Thailand under the Royal Patronage, along with Dr. Udom Chanasitand, president of Science and Technology Trade Association and Mr. Anucha Parnpichate (Project Manager of Thailand LAB INTERNATIONAL 2018). In the session, the topic of laboratory equipment trading and maket trend was raised. 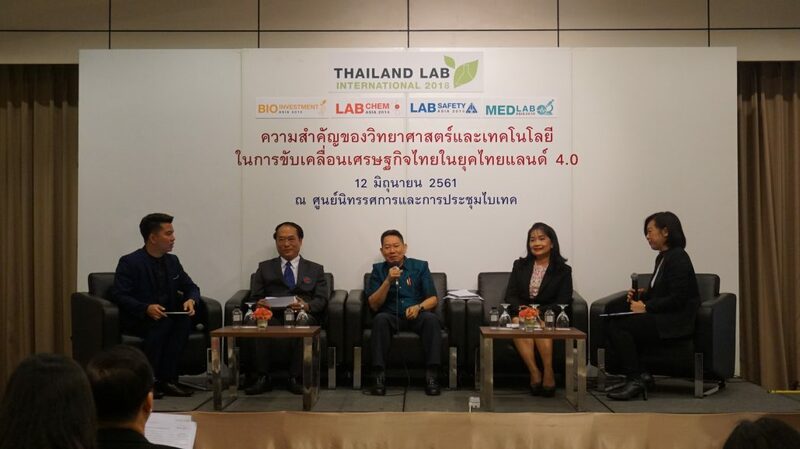 According to Thailand 4.0 Policy which transforms the economy from heavy industry into an innovation-driven one, the laboratory instrument industry, scientific devices, latest technology and the biotechnology market are mainly what drives the Thai economy forward. It has reached a growth rate of up to 15-20% and can potentially increase in the future. “Lab industry, Bio-technology industry, plus medical or healthcare industry are in the significant driven group that push Thailand forward into a new era. Regarding the expanded market which predicts to grow even more in the forthcoming years and survey of MICE travelers from 20 countries around the world, Thailand is their wish destination to visit. 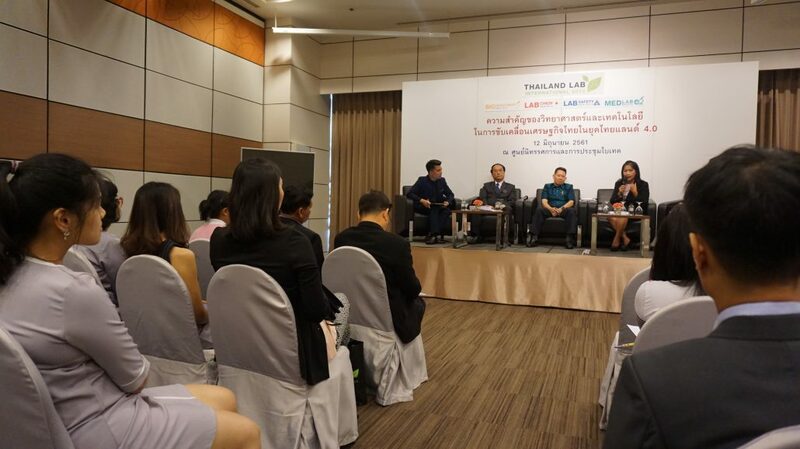 It is a perfect occasion to organize the international laborattory instruments and innovation trade exhibition.”, stated Mr. Anucha Parnpichate, project manager of Thailand LAB INTERNATIONAL 2018.